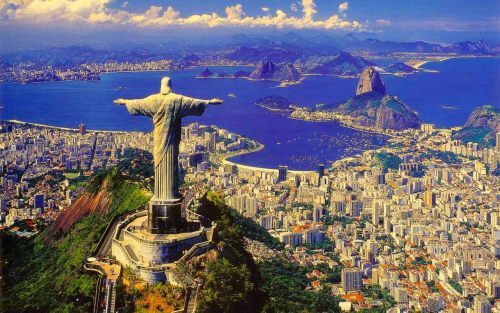 Air Canada has dropped the price of their flights from Vancouver to Brazil down to $705 CAD roundtrip including taxes. 3. Click through from Kayak to the Air Canada website or United Airlines website for booking. vancouver, yvr, flight deals, air canada, south america, united airlines, brazil, sao paulo, sao, gig, rio de janeiro, rio and gru. 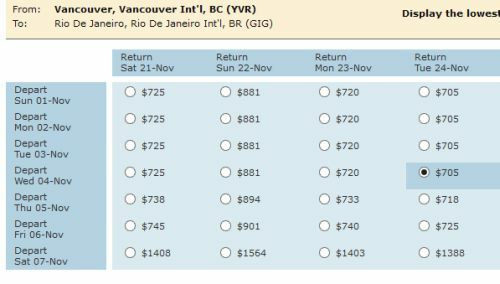 3 Responses to "Vancouver to Rio de Janeiro or Sao Paulo, Brazil - $705 roundtrip including taxes"
It's funny, a roundtrip ticket is like $700, but a one-way is still $1300. Odd. I found 9/29-10/24 on unite.com for C$692.82. A good find! This deal was also available from Calgary for $725. We booked from November 6 to 14th!